Sometime soon, THQ is going to invade stores all over again with Homefront Ultimate Edition. Even though Homefront wasn't the best game to come out this year, it certainly wasn't the worst. It also sold well enough to merit a sequel, though not well enough to actually save developer Kaos Studio from being shuttered. That said, THQ has just revealed that it's going to release an "Ultimate Edition" of the game relatively soon. A new release schedule from THQ includes Homefront Ultimate Edition, set to launch sometime before the end of the fiscal year (which ends on March 31st). Exactly what's included in the re-release hasn't been specified, though it seems safe to assume that the multiplayer DLC packs "The Rock" and "Fire Sale" will be a part of the bundle. 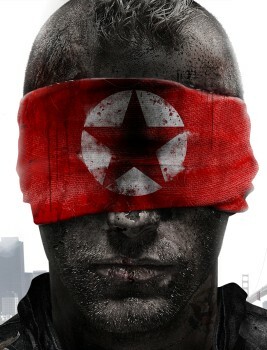 Meanwhile, even though Kaos was shut down last year, Crytek UK is currently working on the next Homefront game, which is due out during the 2014 fiscal year.